The OpenNebula Conf 2016 is due in October in Barcelona, Spain, and the Call for Speakers is now Open!. If you are a OpenNebula practitioner, user, architect, devop, admin or developer and have something to share, we welcome your submission. You might be also interested in taking a look at the sponsorship opportunities. Also check out the projected OpenNebula TechDays for this year in case one is close to your location. Upcoming TechDays in April will be held in Dallas,Toronto and Cambridge. Also, there is some (but just a few!) seats left for the OpenNebula course OpenNebula Systems is giving in Cambridge. vCenter storage management, including datastore selection and disk hotplug, a full integration with the new Marketplace functionality. Share VMDKs among OpenNebula instances! Also, vCenter resource pool selection for deployed VMs will be possible. There are more new bits and bobs, check the full list of feature in the development portal. 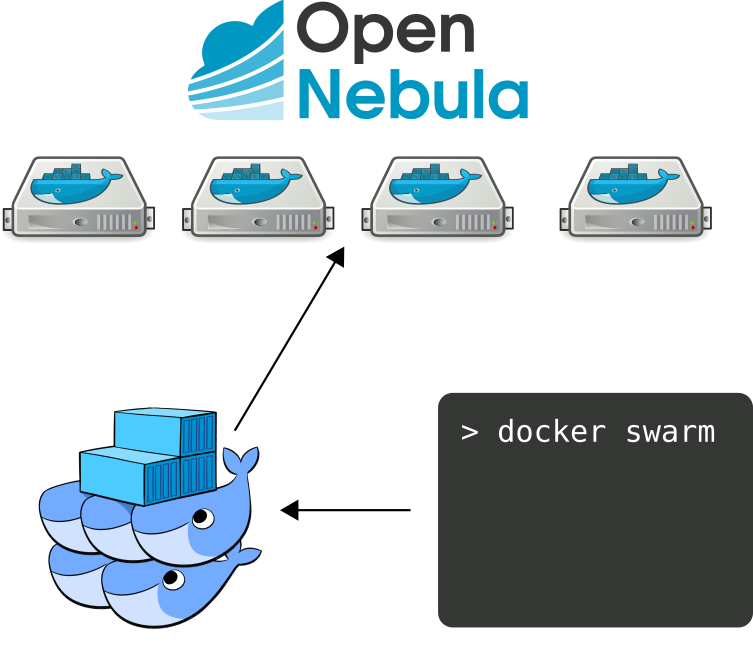 Continuing with the series of Docker integration posts, this past month this entry explained how to get Docker Swarms deployed with OpenNebula. The idea is to get Docker Swarm to build a cluster out of a collection of Docker Engine VMs deployed in OpenNebula with Docker Machine. Docker Swarm is native clustering for Docker, delivering many advantages, like scheduling, high availability, etc. If you need professional support for your OpenNebula cloud, remember that OpenNebula Systems has extended the support services portfolio to include the Operating System of the virtualization nodes and the controller (which can be CentOS and/or Ubuntu), the hypervisor (libvirt and KVM), networking technologies as VXLAN/VLAN 802.1Q and Ceph as storage backend. The OpenNebula community never ceases to amaze us. Contributions to the common knowledge pool around OpenNebula deployments add huge value to the open source project. Several contributions were made this past month in this regard, let’s see the highlights. A great addition is related to the LXCoNe addon with a very detailed and complete post. 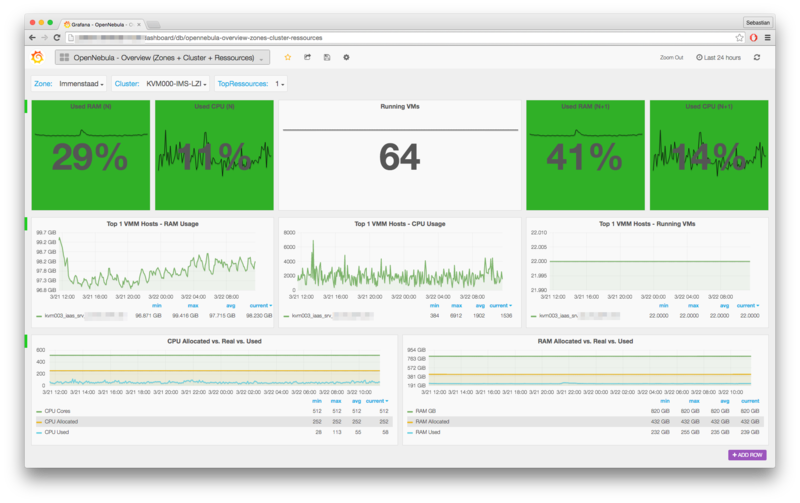 LXCoNE, a virtualization and monitoring driver for OpenNebula that comes as an add-on to provide OpenNebula with the ability to deploy LXC containers. It contributes to achieve better interoperability, performance and scalability in OpenNebula clouds. Right now, the driver is stable and ready for its release. Also do not miss this post and contribution by TeleData, enabling the feed of monitoring data in the form of graphite metrics. Great work! And we blush with your words too! And last but not least, our friends at LINBIT have contributed their OpenNebula driver for DRDB integration as an addon! This driver allows for highly available storage using DRBD9 + DRBD Manage in OpenNebula. We are, as usual, thankful to have this wonderful community. Two thumbs up! The next OpenNebula Conference in Barcelona in October 2016 has already been announced . If you are willing to attend and can save now the date you can take advantage of a 40% discount in your Conf tickets. The Call for Speakers is now Open!. If you are a OpenNebula practitioner, user, architect, devop, admin or developer and have something to share, we welcome your submission. More information is available from the event site. The Conf has already its first sponsor with StorPool. Welcome! Learn about the different sponsorship opportunities in the Conference web page. If you want to understand what all the OpenNebula Conference fuzz is about, check the last Conference material (talks, slides,pictures). 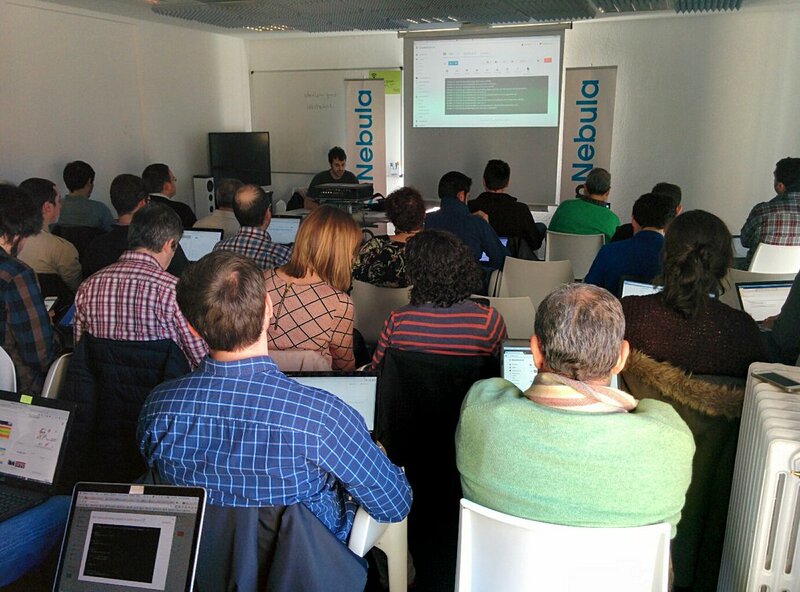 This March the OpenNebula team held a TechDay Madrid. A full house event with very interesting talks held by Rentalia in the crib that saw OpenNebula birth! If you are interested in participating in (or hosting) any of these TechDays agenda let us know. Besides the TechDays already celebrated (in Kuala Lumpur, Sofia and Madrid), this year member of the OpenNebula team will be participating in TechDays the following locations: Dallas, Toronto, Cambridge, Ede, Nuremberg and Dublin.